Wednesday night so you know what that means! 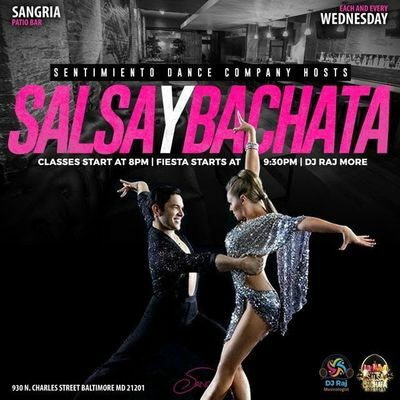 Time for another fun night of dancing at Sangria Patio Bar! Bachata & Salsa lessons from our talented instructors. Then the party gets started with DJ Raj! No cover charge, great food and drink specials, awesome Sangria and only $5 for each class! Each and Every Wednesday night! !